NOTE: Our website has changed. Please visit rabbit.org for our new website and http://rabbit.org/house-rabbit-links-and-other-rabbit-resources/ for our new Links pages. 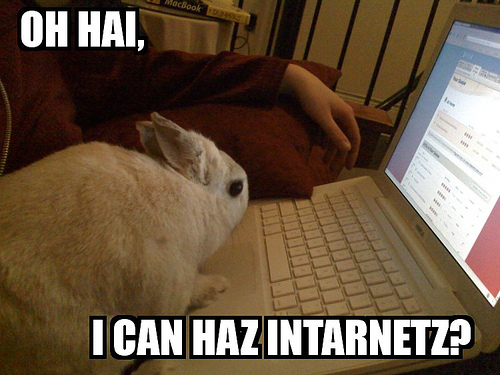 We've collected the following links that relate to house-rabbit friendly resources on the internet. Please let us know if we're missing something! The links are provided as a convenience. Linked sites are not sponsored by, affiliated with, or the responsibility of House Rabbit Society. We have no control over the content of these sites, and we in no way endorse any of the information or opinions they may contain. Conversely, we have no control over who provides a link to our site. Seeing a link to rabbit.org on another site in noway implies our endorsement of that site. We link only to the sites of organizations and commercial enterprises that are in agreement with our organization's philosophy,including our promotion of spaying/neutering and adoption. Therefore we do not link to sites that sell rabbits or promote breeding.